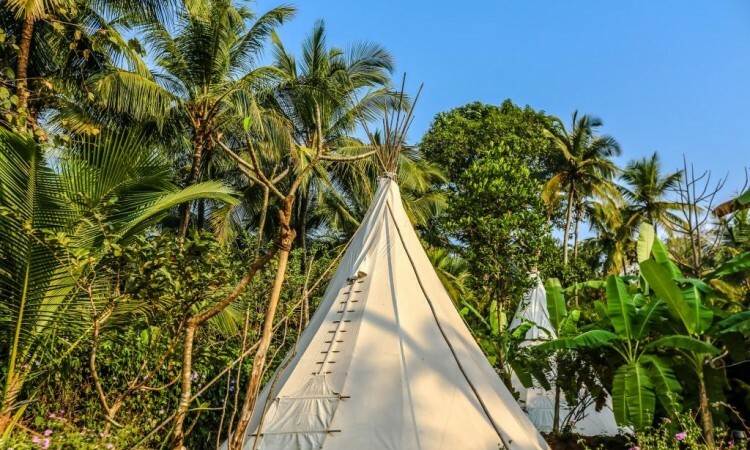 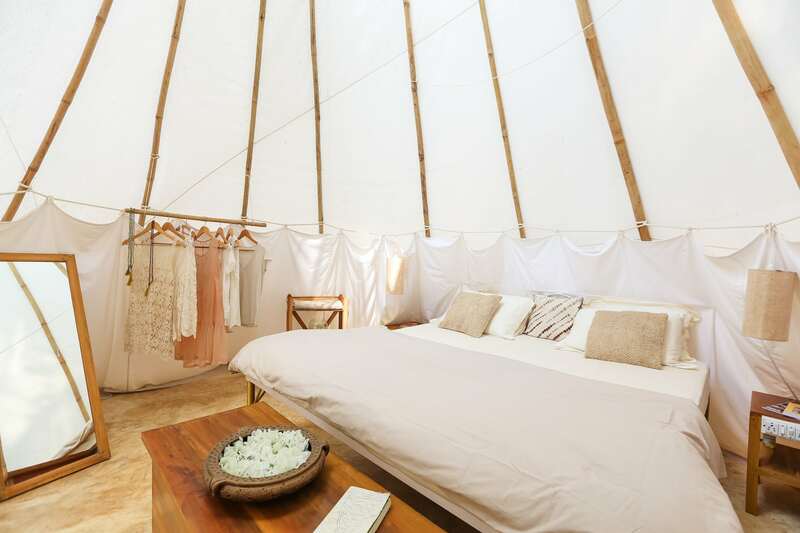 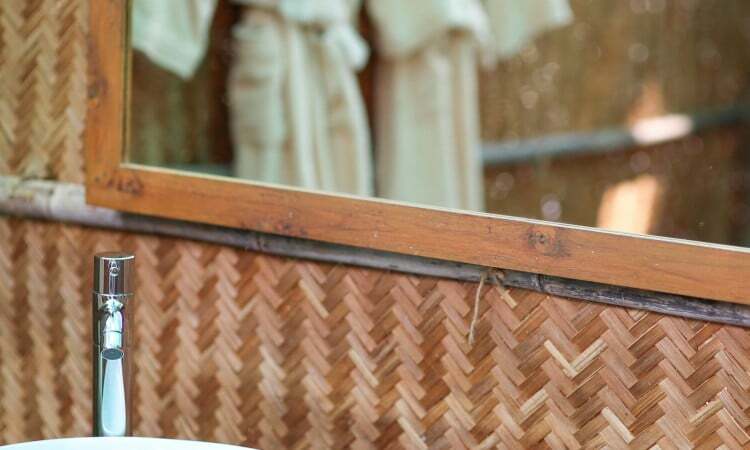 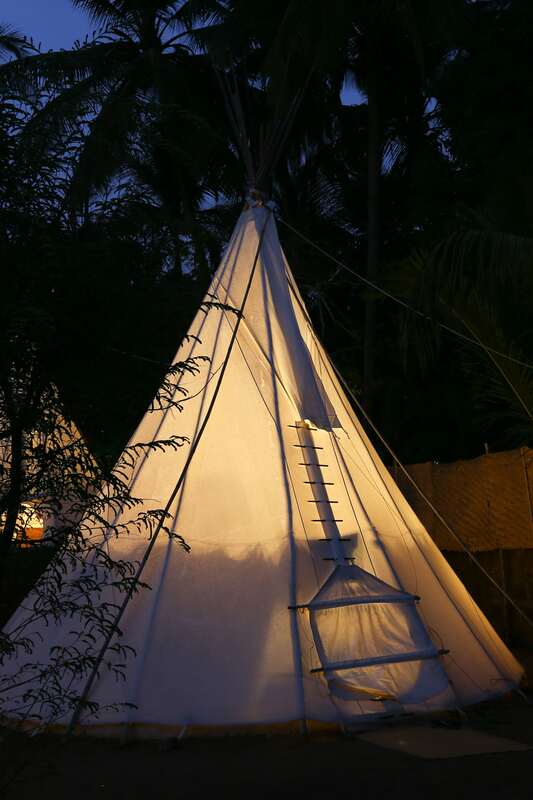 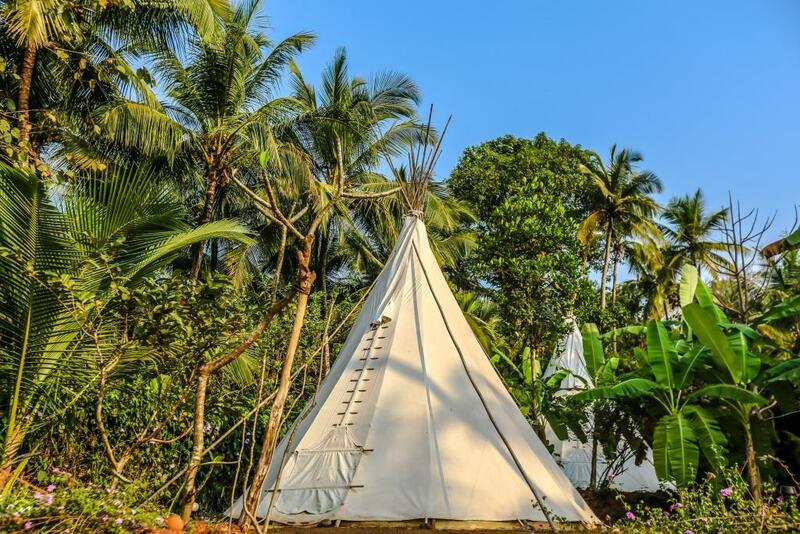 We offer four chic tipis facing the river and mangrove. 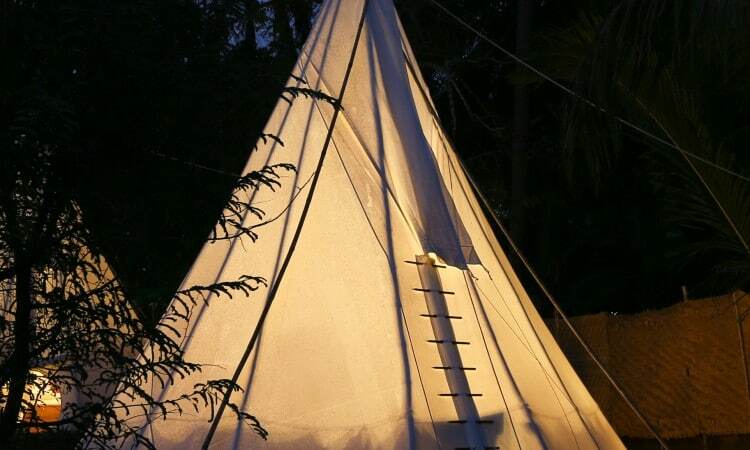 Staying in a tipi is a special experience that you will never forget. 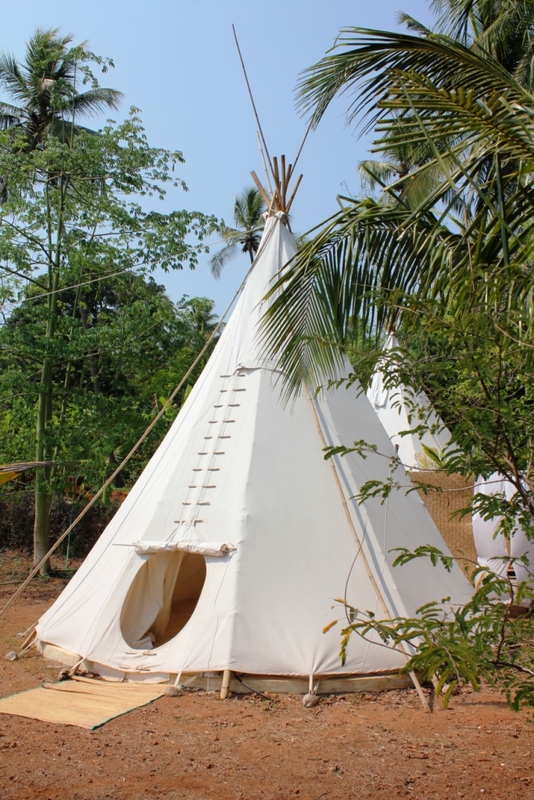 Away from the stress and pressure of everyday life, your comfortable and sereen tipi will soon make you forget where you came from. 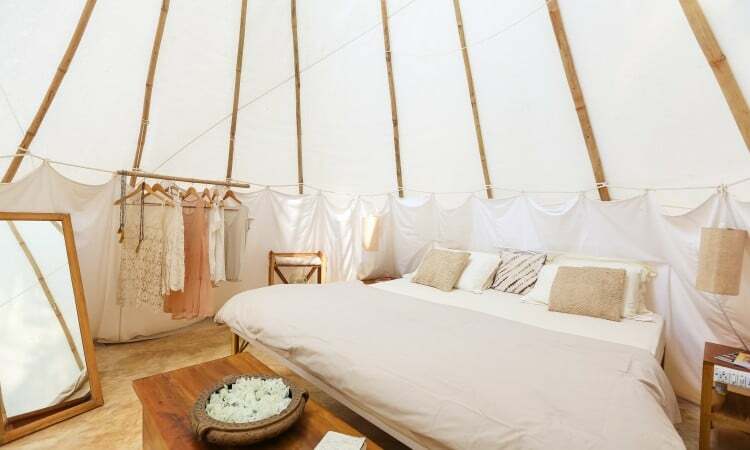 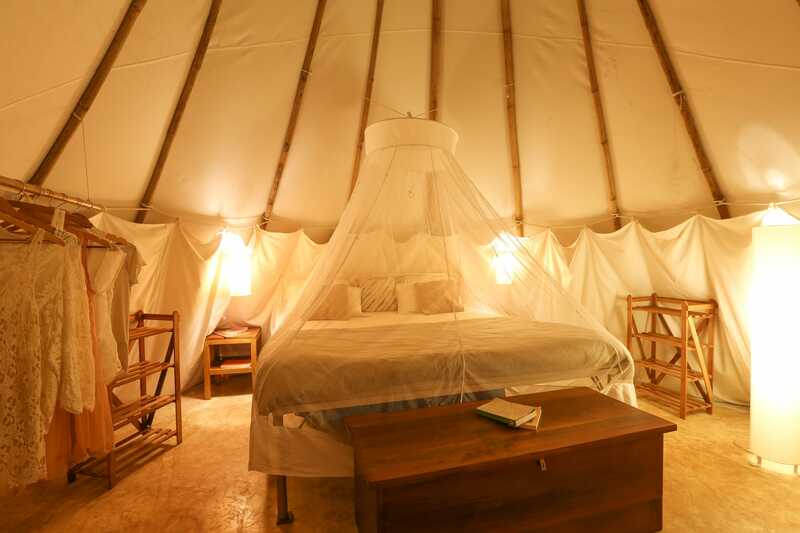 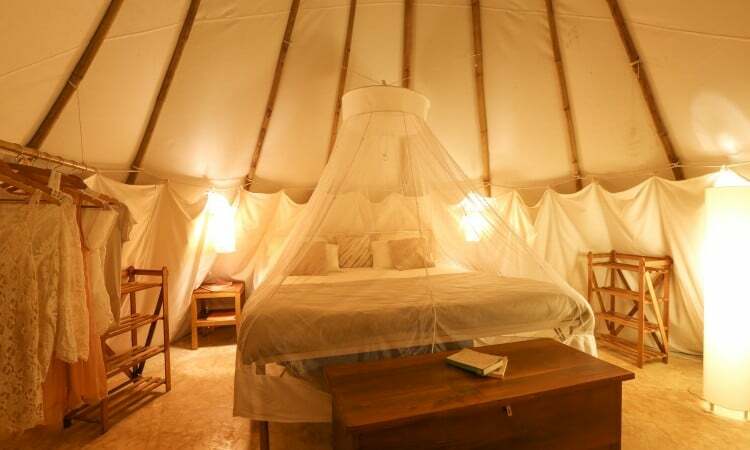 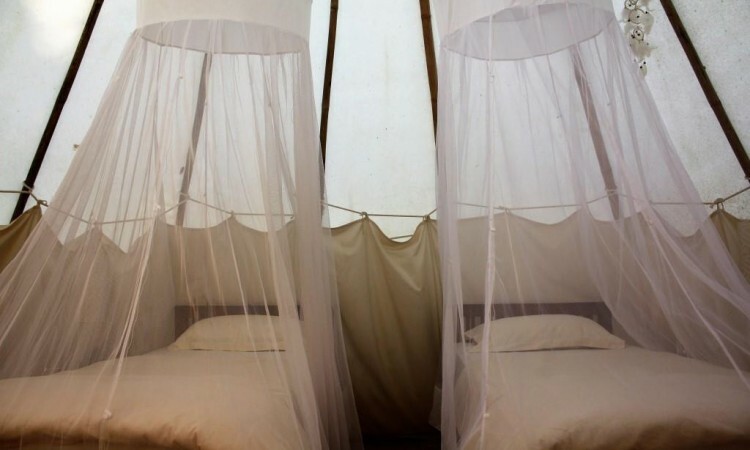 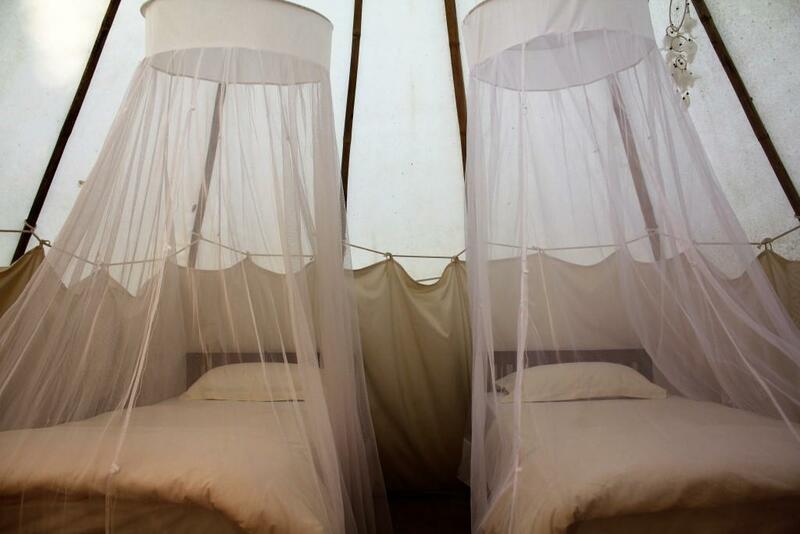 Two tipis have kingsize beds and the other two tipis have twin beds or a king size bed. 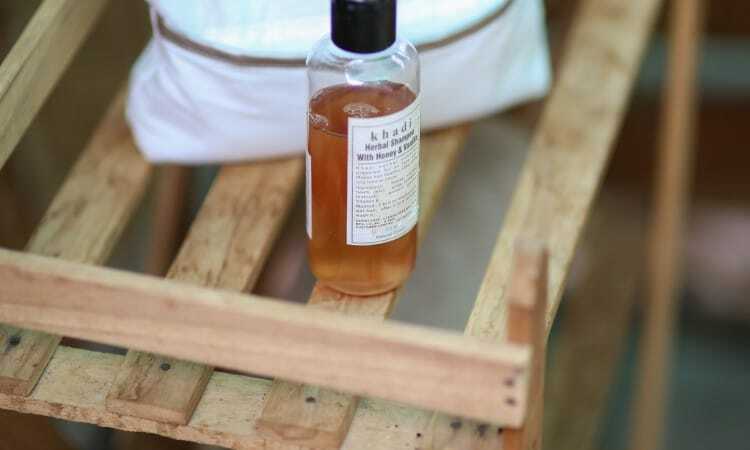 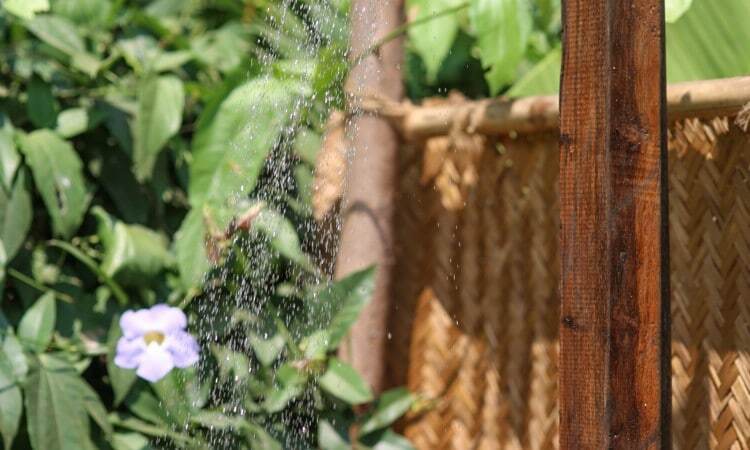 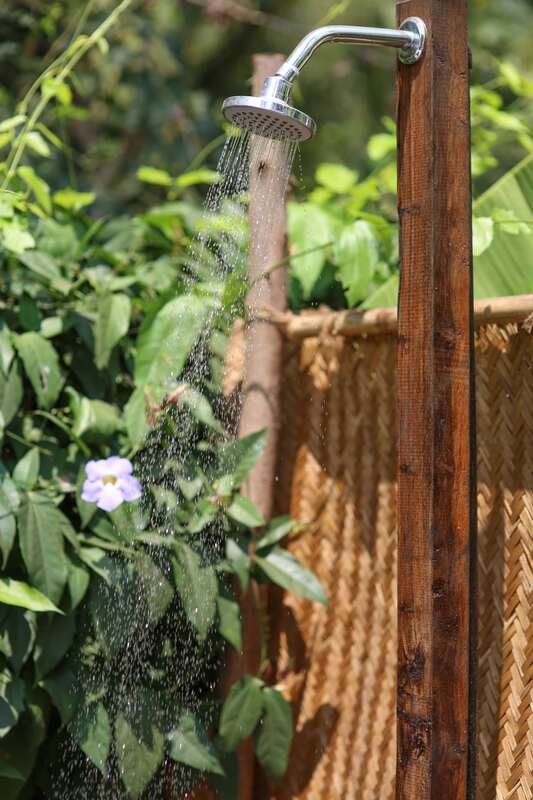 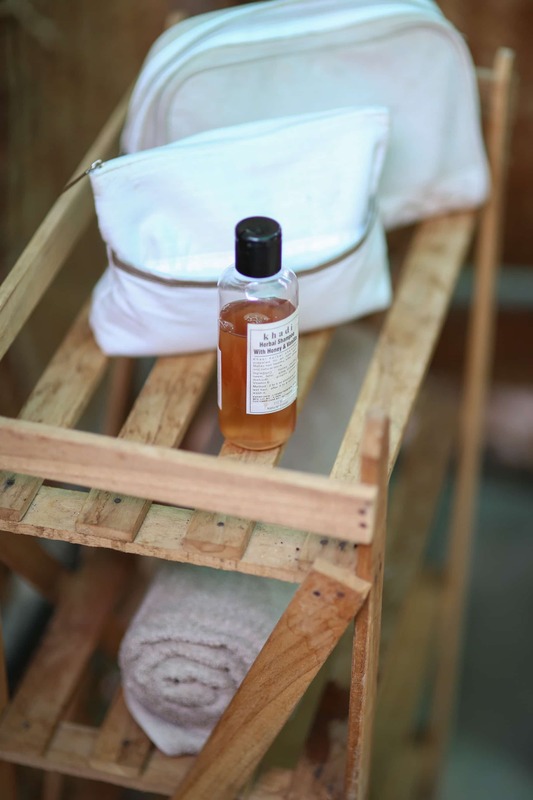 All rooms have their own attached outside bathroom, equipped with open sky shower, sink and eco-toilet.